Serbia's ruling Progressive Party (SNS) has expressed its desire to hold early elections following months of anti-government protests that have engulfed the country. President Aleksandar Vučić said that while he abstained on the decision, the leaders of his party had shown it wanted a snap election. That means the poll will either be held early — this June — or in spring next year as planned, Vučić said in a statement posted the SNS website. "I am authorised by the SNS presidency to talk with coalition partners about coalitions and the date of holding the elections, but also how and in what way to prepare plans and implement them for the future of Serbia," he added. The informal decision came amid a tense political climate in Serbia. Saturday marked the third month of anti-government protests across the Balkan country, which have seen thousands of ordinary citizens take part. Under President Aleksandar Vučić and his government, many Serbians believe their country is moving toward autocracy, amid reports of officials attempting to silence critics, influencing the media, and placing pressure on voters. Such actions led Freedom House, an independent organisation tracking freedom and democracy, to downgrade Serbia's national status last month to "partly free". 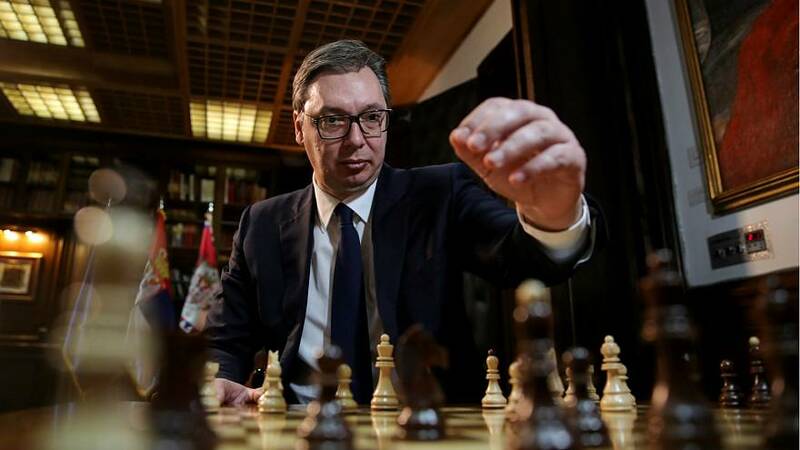 Vučić has so far rejected protesters' calls for his resignation, further exacerbating anger when he said he would not agree to any demand, even "if there were five million of you". This comment went on to give the ongoing protests the name #1of5million.